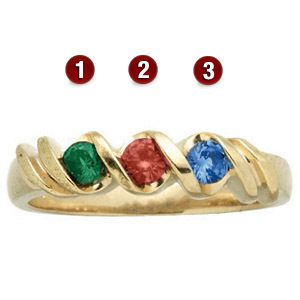 Gorgeous ribbons of gold surround three simulated 3mm round gemstones on the 14kt white gold Harmony mother's ring. Each round gemstone is prong-set. Made in USA.